First, an important tip: While your organization must apply and be approved to mail at nonprofit rates (which can save you tons of money in postage), you don’t have to pay the $200 annual fee if you use a 3rd party mail house to process your mailings. The mail house can use their permit number and either include your postage expenses in your final invoice or get a check from you in advance to cover the postage (the latter is usually preferred). Indicia can be printed on your outer envelope either during the printing of your return address or when the mailing addresses are added by your mail house. There are a few downsides to using a pre-printed indicia. Many people will often think the “US Postage Paid” on the envelope means they can mail an individual piece first class. Not the case. You’ll have to place a first class stamp over the indicia if you want to drop one in the mail solo. Also, if you need some envelopes without indicia (for instance if you are mailing first class to your major donor segment), it can be slightly confusing to print some with indicia, some without. Another way to get your bulk mail permit on your envelope is to use a postal meter. Your organization can purchase your very own meter which, although expensive, can be convenient since you can use your meter for any kind of mailing. However, metering each individual mail piece can be extremely labor intensive, particularly for larger mailings. Personally, I think metered mail in general looks a little sloppier and bulk-maily-er than other options and I’ve rarely see this used. The stamps (initially) cost $.05 each, (at the time of this writing) and are available in rolls of 500/ 3,000/ or 10,000. If you have a nonprofit rate permit, you can buy them at some post offices. Plan ahead to get these stamps well in advance since they are often out of stock. I prefer to have my mail house folks do the tedious work of finding the stamps, one good reason to outsource your mailing services. It is important to note, your final postage is actually MORE than the $.05 you pay per stamp. When you deliver your final mailing to the USPS, they will deduct from your (or your mail house’s) bulk mail account the remaining cost of postage beyond the initial 5 cents you paid when you purchased the stamps. In my opinion, the stamps look much nicer than the other options, and make your mailing look closer to first class and more personalized. But (a big con, here) stamps require extra labor, meaning either more work for you or more money to your mail house who must apply them, an additional cost of approximately $.05 per piece, which can really add up. Also, if you are going to apply them in house, make sure you get self -adhesive. Do you really want to moisten all those stamps? Didn’t think so. Which option gets a better return? According to Mal Warwick, a significant difference has never been demonstrated in testing. I strongly suspect that because most of the data available is for very large mailings, this doesn’t take into account smaller, more targeted mailing lists. For a mailing to your best donors, stamps make your mailing look more personal and are thus more likely to be opened and to generate a response. For larger appeals (over 3,000 or so), I would stick with the preprinted indicia because of the extra labor and cost associated with using the nonprofit stamps. Remember, first class stamps are always best for gift acknowledgements and when mailing just about anything to your major donors. In fact, recent tests have demonstrated that for “prestige” mailings (which aren’t defined in this article) first class mailings generate both a bigger response rate and larger gift sizes. USPS Business Mail 101 – This has some important introductory information, but leaves many unanswered questions, particularly as it applies to nonprofits. 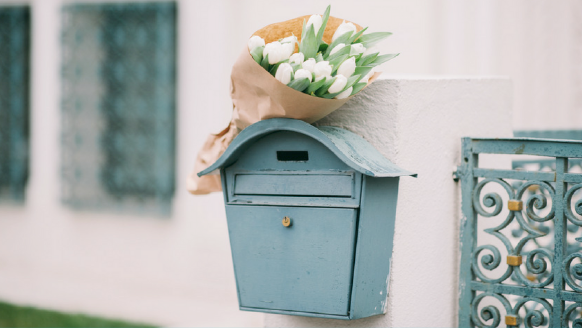 Mal Warwick argues in this article that metered direct mail may be the way to go and in this article discusses stamps vs. indicia. Joanne Fritz writes about how to get approved by the USPS for mailing at nonprofit rates. « Fundraising appeals are not "one-size-fits-all."